After the world wine scene greeted Carmenere from Chile and Uruguayan Tannat, who could really be surprised to see Cencibel from La Mancha as the next big thing? So certain experts are declaring of the new, technologically keyed-up wines from the region. 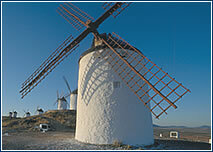 Lying to the south of Madrid, La Mancha is in the main an arid landscape of scorching-hot summers and freezing winters, famous mostly for the white windmills fought by Don Quixote. Vines were first planted on the vast plateau of the southern meseta way back in the thirteenth century, shortly after the expulsion of the Arabs from Castille. Today more than 420,000 acres (170, 000 hectares) are devoted to wine production, with the vines trained close to the ground so that the leaves provide shade from the sun and biting winds. The mainstay used to be a high-yielding white grape called Airén, whose pedigree could hardly be described as distinguished, traditionally supplying wagonloads of unremarkable (to say the least) table wine for the ever-thirsty and undemanding population of the capital. What is more remarkable about the unsung Airén is that although it is the world’s most widely planted grape variety, it is scarcely grown outside its own native region. This goes some way to explaining La Mancha’s sheer size, it being the supplier of half of Spain’s total annual production and the largest wine region in all Europe. Since 1974, a Denominación de Origen for the region came into force aimed specifically at improving quality. 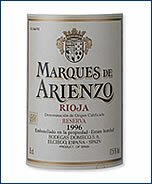 And now, top producers such as Martinez Bujanda of Rioja and the Marqués de Grin~on have recently set up in the region. And not simply because the land is cheap. Said one: “there is so much of la Mancha, the climate is good and, if you are prepared to look, you can always find a place with really great terroir.” Nowadays white grapes are picked much earlier, which certainly cuts alcohol, but gives fresher acidity while reds are fermented at low temperatures to preserve the fruitiness. New varieties such as Sauvignon Blanc, Macabeo, and Garnacha, have been planted to give dimension to tradtional favorites, like Cencibel, a local name for Tempranillo, the most important red, which gives light fruity wines groomed to the modern palate and a red grape with good blending potential known as Moravia. 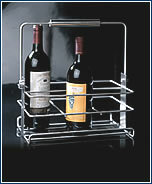 In its collection for 2002, German design company Zack did not forget wine lovers, creating this wire basket for six bottles. Simple, light, made from stainless steel, the Allegra basket is not only a practical, but also an attractive accessory. Price CZK 1,760. Available from: Albertina, Revoluční 24, Praha 1, tel. : 02 2231 2567. Vinotéka Zlatý had, Plaská 4, Praha 5 – Malá Strana. Tutored tastings every Monday in June at 6 pm. Entrance CZK 500. More information on tel: 5753 1472. Galerie vín a vinný sklep, Komerční centrum Beroun. June 11 at 6 pm – tasting of Italian wines with small snacks. Entrance CZK 200. More information on tel: 0311-602 105. This deep garnet-colored wine from Bodegas Juan Ramon Lozano is made from Cabernet Sauvignon blended with Tempranillo/Cencibel and has spent 12 months in oak barriques. Dark-red fruits with vanilla overtones on the palate. A wonderfully drinkable, lush and very Spanish red. CZK 300. This is a very youthful cherry-hued red with fruity palate hinting at balsamic vinegar. 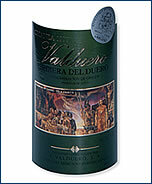 It is light on the palate, with firm tannins and red fruits and lingering soupcons of sultana. 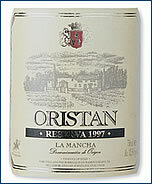 The five-month aging in oak (“roble” means oak in Spanish) is very apparent. CZK 300. Glorious nose of ripe red fruit, spicy and meaty. Rich and opulent, and matured 12 months in new oak. Awarded silver medal at “Challenge International du Vin” in Bordeaux 2000. CZK 650 from Petrus, s. r. o. 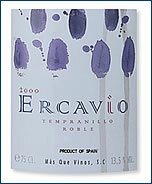 Made from Tempranillo 95%, it has been aged for 24 months in oak casks. Jammy, with plum povidl showing through with vanilla undertones. Imported by Allied Domecq. CZK 550.